There are a few terms that you may not know as a first time home buyer. 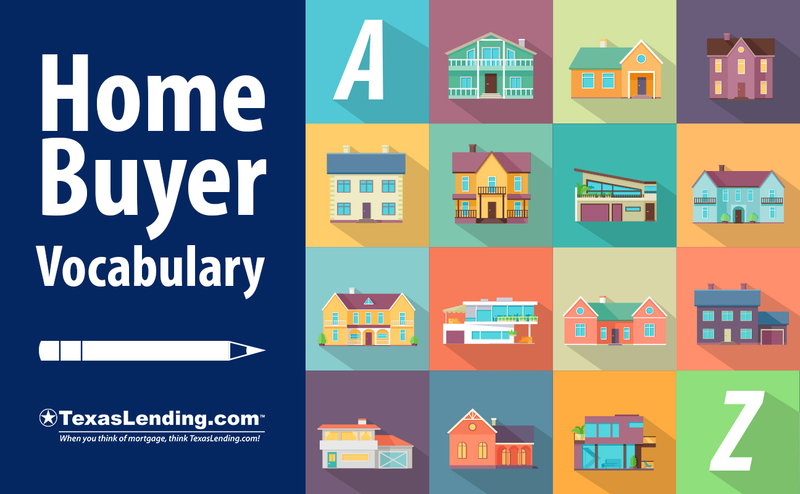 Our goal is to empower you with the information in this home buyer vocabulary article. 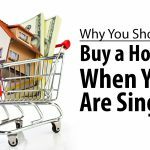 With all of this knowledge at your fingertips, you will be a well informed home buyer. Home Buyer Vocabulary: Who can help you succeed? The licensed mortgage professional who communicates with the borrower to help them understand their options in the current market. The person who works with the borrower to ensure all of the needed documentation is in place for the mortgage loan to close. A licensed mortgage underwriter assesses the risk involved with the mortgage loan by reviewing the credit, collateral, and capacity to repay the loan of each transaction. The licensed real estate professional who represents the home buyer in a transaction. Home buyers are not charged any upfront fees to work with a buyers agent. They are often paid buy the seller after closing. Learn more about getting cash back after closing when you use our realtor connect program, here. The licensed real estate professional who represents the home sellers in a transaction. The value of the home determined by a licensed appraiser, and submitted to the mortgage lender. Read more about how the value of a home is affected by the neighborhood in this article. When the housing market trend shows low demand and buyers are able to buy homes below market value or have more flexibility to negotiate. An evaluation by a lender that determines the qualification of a borrower for a mortgage loan and the amount for which they qualify. One step further than pre qualification, a pre approval has the additional endorsement of an underwriter. 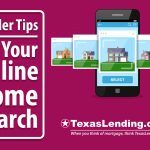 Get pre approved for free at TexasLending.com. Having full pre approval gives you a number of advantages, read more in our previous blog article. The initial contract proposal given to the seller. We discussed a few ways that you can strengthen your offer without going over budget in a previous blog article. Once the seller accepts the terms of an offer, the signed offer becomes a purchase contract. This document needs to be sent to you mortgage lender as soon as possible to begin the official mortgage application. The time period agreed upon in the contract that the seller has the option to leave the contract. This is usually the time period where the home inspection takes place. The amount of money the buyer gives the seller before the option period begins. If the potential buyer leaves the contract during the potion period, the seller keeps the earnest money. If the buyer completes the contract by closing on the mortgage, the earnest money is applied to the down payment or closing costs. Conditions that are agreed upon in the purchase contract that could potentially void the contract if they are not met. The most common contingencies involve home inspection, appraisal, financing, title, and the sale of a current home. The fair market value of a home as determined by a licensed appraiser, by an in person examination of the property. An appraisal is required by the lender. The detailed examination and report of the condition of the home, safety concerns, needed repairs, and any existing code deficiencies. Home Owners Associations act as regulatory organizations for neighborhoods and provide additional amenities to residents. Annual, semi-annual, or monthly dues are typically required in neighborhoods with an HOA. Credit scores reflect the history of your responsible use of credit. Having a good credit score is an important factor in qualifying for a mortgage, read more in this article. The amount of money you pay directly towards the purchase of the home. Learn more about down payment requirements in this article, “How Much Home Can I Afford?”. Funds used to make a down payment and pay closing costs which must be traced to a source. Mortgage fraud regulations prevent lenders from accepting large cash deposits that cannot be traced to a verified source of income or savings. These regulations prevent money laundering through real estate transactions. An account established by the mortgage company to pay property taxes and insurance for the term of the mortgage. An adjustable rate mortgage has interest rates that are periodically updated to reflect the current market interest rates. A static or non-non-variable interest rate. Read more about interest rates by clicking this link. The process of collecting, verifying, and documenting the information needed to complete a mortgage loan for a real estate transaction. Learn how to easily navigate the mortgage process in this article. In the state of Texas homeowners can apply for this tax exemption to lower their local property taxes. A required insurance program for home buyers who pay less than 20% on the down payment and protects the bank in the event of a foreclosure. Combined property and liability insurance designed to protect residential property owners. As a home owner you benefit from several Federal Income Tax deductions. Have a conversation with your tax advisor about the current home owner tax exemptions you may qualify for. A mortgage lender who is ready to help you reach your home ownership goals. We offer low rates, low fees, and great service to our customers. We focus on being a great resource to our customers for the information you need to succeed.